Estimated read time; 3 minutes. This has been seen severally that blogs and websites sometimes loose their visitors over time (why blog readers decrease) and this is what several bloggers couldn’t crack the reason behind this sudden drop in visitors. 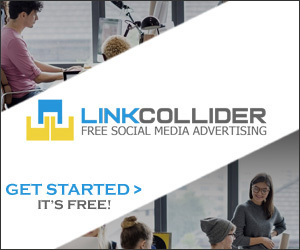 We all know how useful it is having a good number of web visitors daily, weekly and monthly as it Is a simple alogrithim that the higher your web traffic, the higher your earnings with any platform you monetize with be it Adsense, media.net, yllix, revenuehits, revcontent and even affiliate marketing. Owing to this specific issue of traffic decrease, we know quite well that there are several reasons why this should happen to you as a blogger. These reasons we are about to share are specifically handpicked to suite the needs of several bloggers who have been seeking solutions since ever. Know this, anyone who can identify your problem without any mindset of offering the solution hasn’t really solved anything for you has he? Having said the above, let’s quickly dive into why your blog traffic decrease suddenly with time. Why do my blog traffic decrease? First of first let’s take them in a numerical order as I know you could believe with me that it could be better if done that way. This is the first reason why your web traffic have gone down the drain. When you stopped writing the user engaging content that you always wrote to catch the mind of your visitors, and equally their attention, you will seriously tend to loose your potential visitors who do visit your website as a result of the kind of content you write. I was a personal fan to misstechy.com and in due course she changed her pattern of writing and flash was me when I ran away and became an undedicated reader. This was specifically to me, then what about other fans that did just as did I? It is true that when you changed your writing pattern, you will tend to loose your potential visitors and still you will make new ones start coming into your website. “Either ways you loose and also gained but on the loose side you were too deficit”.
. Finally its the best way to solve problems to those who really needed it. SEO they say is quite good to leverage traffic from but we have to understand that google alogrithims change so fast and also Google SERPs and those are the basic points google consider to rank websites in search results. If you’re doing this then you need to look around you and see yourself sinking in lesser time than you think as competition will arise and you may find it hard to rise above those competition. 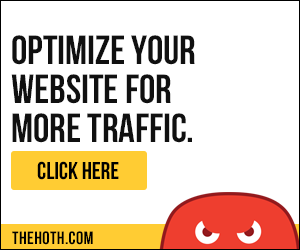 “Best advised, diversify your traffic now and avoid being hit by google alogrithims”. Some TLD (Top level Domains) in the blogosphere must always rank higher and better than other domains. When we speak of TLD we mean .com, .org, .net, .co.UK and others. It could be sheer difficult for a .us domain or a .tk domain to get better search result than a .com or a .com.ng domain. This is considered a reason for the drop in web traffic. When your traffic comes from social media, it is very very difficult for you to strictly predict what you will be getting in due course. It will be quite easy for your web traffic to decrease drastically owing to the fact that your social media visitors may change anytime and find lucrativeness in another website and equally your Facebook subscribers may happen to unlike your page and unfollow your page and stop receiving your updates. Often times, your Facebook page fans might just take for a. Holiday and your traffic will start decreasing immediately. “Hope you have heard of inactive Facebook page? That is if you’re good at buying Facebook pages”. When you do not promote your website either one way or the other and you happened to based your traffic coming from one direction or the above-stated directions, you will have a serious issue to contend with. Truth be told, it is only promotions and ads that can tell you the exact number of web visitors you’ll be getting monthly and no decrease will be added to it. Other traffic sources we work with are just supplements and do not give a real estimate of monthly visitors. The above five reasons are the principal reasons why your blog/website traffic suddenly decreased over time. Notwithstanding, we promised in the inception of the article to state equally the solutions to this problem of sudden decrease in website visitors and we keep to our word. If you know the specific content that fetches your websites potential visitors, do not move away from these kinds of write-ups but better still advance yourself in it and get better making your visitors days through your article reach. We strictly advise you do what your audience wants and not what you want but of course, you started it by giving them what to like first. Choosing the TLD is a very wise point to consider if you want to increase your website traffic and visitors and equally keep them coming back for more. When you promote your website for 100k visitors monthly, know that you’re getting the 100k visitors a month and nothing less, although sometimes its always +- 1000 or less but you’re still getting what you paid for. If you do not utilize paid traffic, you cannot confidently account for what traffic you’re getting every month or annually. Ads and promotions also help promote websites to where they really need to be and also bring in new, targetted and better visitors visiting your website. Promotions are also a way to reach an audience who cannot be reached using any other means of sourcing web traffic. We conducted an extensive research and came up with this good idea to share with you in any case you noticed your website going down for any reason then you could know why this is happening to you. If this article was helpful then leave us a comment.